Please use the menu above to navigate our page for more details and follow the latest DX-pedition news below. Short update about our status. 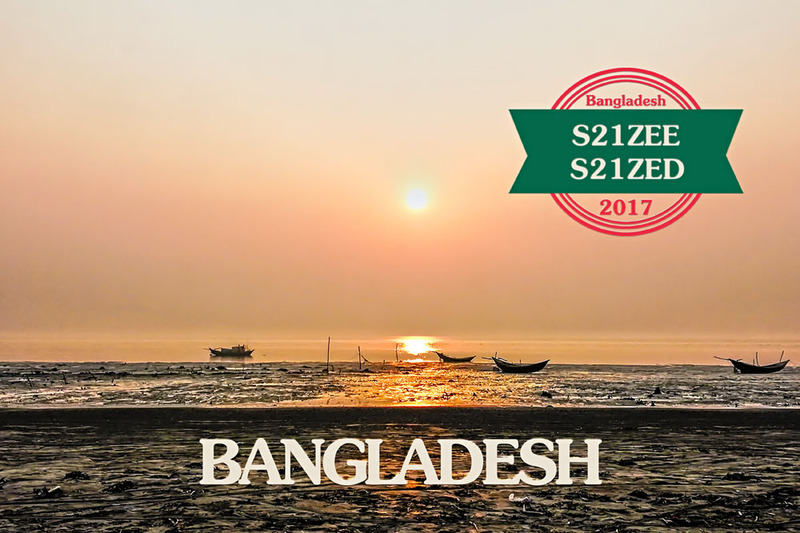 Yesterday I received S21ZED and S21ZEE QSL cards. Look for the pictures below. There are two versions that are very similar to each other and they will be shared randomly. Today I sent QSL cards to all DXpedition supporters 20$/€+ who were automatically receiving our QSL cards directly as our top supporters. I hope and I will try to send all other cards within one month. S21ZEE/S21ZED article and movie coming soon. S21ZEE went off the air March 26, 18:00 GMT when the license expired. In total over 50 000 QSOs were logged with both DX-pedition callsigns according to the latest Clublog upload. 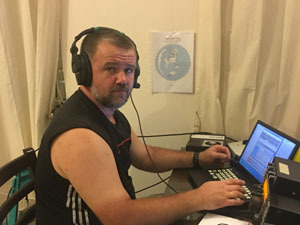 However not all QSOs are uploaded to Clublog yet, despite the last QSO time in Clublog is minute before the end of the operation. So please be patient - it might be that your QSO is OK, but not uploaded yet. Logs from two QTHs are separate and are uploaded separately. Also Russian DX contest QSOs still seem to be not uploaded. 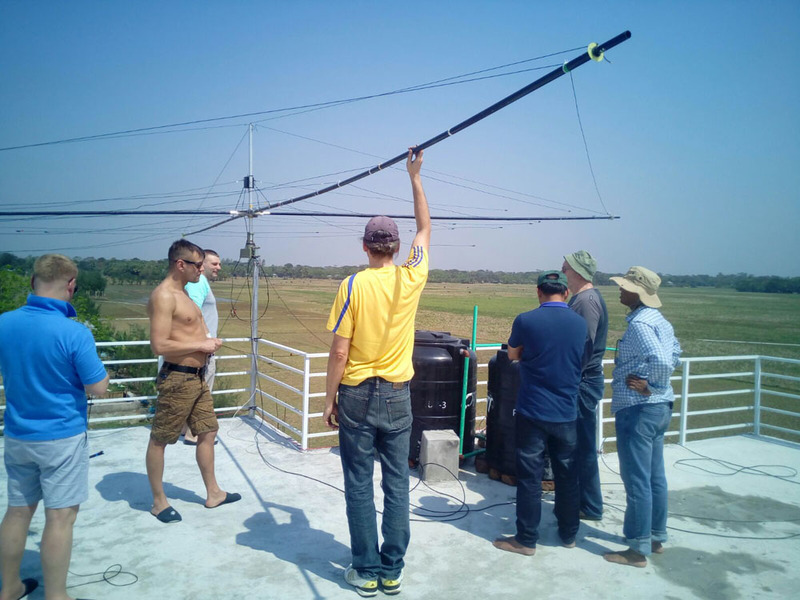 Tomorrow the team will take down antennas, pack and have a farewell dinner. March 28 morning they will take the bus to Dhaka. On March 29-30 the team will be back home - Ukraine and Latvia. DX-pedition will go off the air March 26, 18:00 GMT - local midnight - when the license expires. Until then around and after local sunrise at 00:00 GMT they are QRV on 20m for NA. This morning around 50 NA stations made it into the log. In total until the last Clublog upload there are around 41 621 QSOs in the log. March 19 evening it starts to rain and the intensity gets stronger and stronger until it's so intense that we have minor flood in our house. 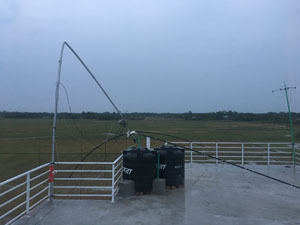 Wind gusts are pretty intense also and during the night one of Spiderbeams guy wires rips apart and the pole bends. We don't stop operating because we have extra emergency tri-bander 14/21/28. In the morning March 20 rain stops and in 2 hours we fix Spiderbeam. 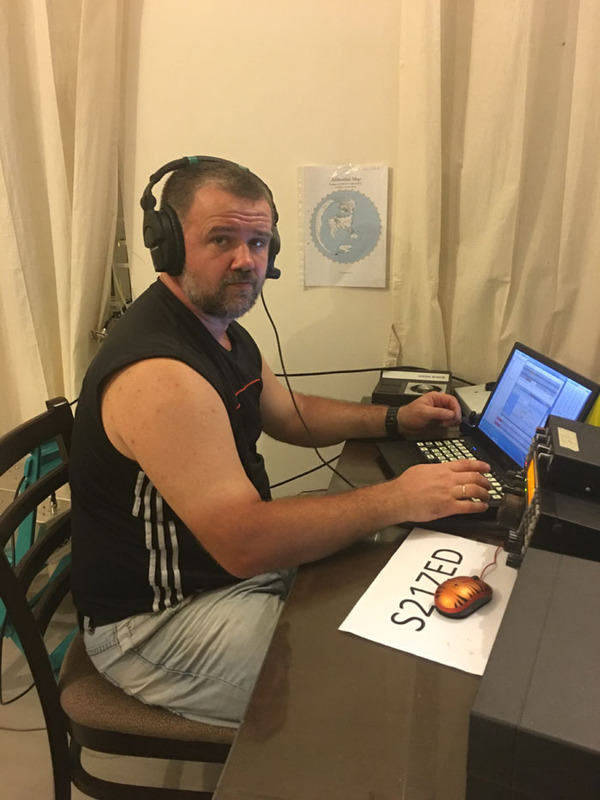 Second position operates on SSB and RTTY. We do what we can and what is in our influence area regarding low bands. We put a lot of intention for NA, but the propagation is not good. Every morning and evening we will be on 14 Mc for NA. 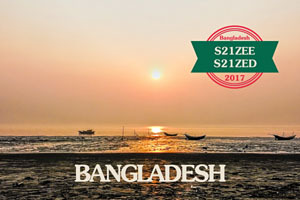 Starting from March 19 18:00 GMT S21ZEE call will be used. S21ZED will not be used anymore. As written earlier this is due to the specifics of local regulations. Please treat both callsigns as one and do not call S21ZEE on bands/modes where you already have worked S21ZED - give others a chance. QSOs made during Russian DX contest short activity are not yet uploaded to Clublog. Will be uploaded later. 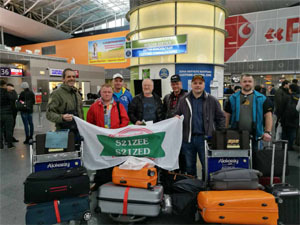 The team and equipment is in Istanbul airport, Turkey waiting for the final flight leg to Dhaka, Bangladesh. 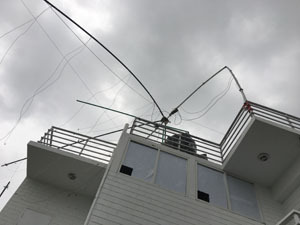 March 14 (Tuesday) they plan to spend setting up antennas. The team plans to be on the air starting 00:00 March 15 local time, which is 18:00 GMT, March 14. Two letter suffix callsigns mentioned earlier will not be used. Instead S21ZED callsign will be used during the initial days of DX-pedition, and S21ZEE will be used during the remaining days. 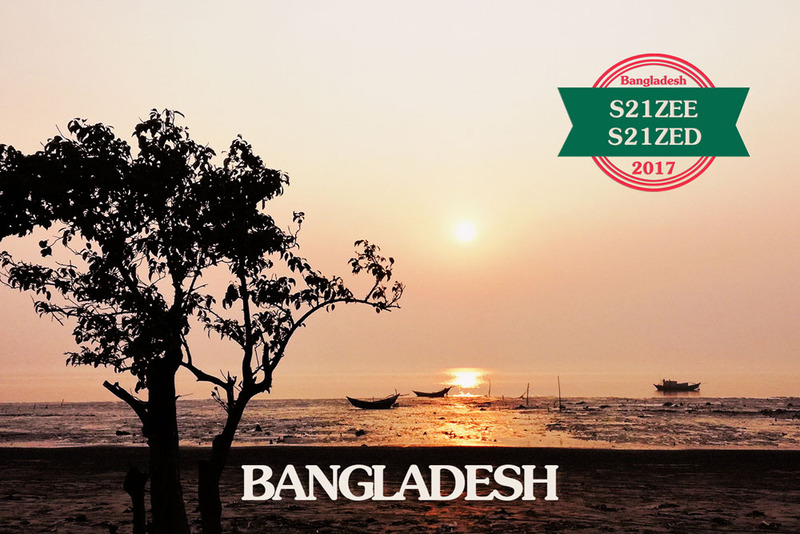 Two different callsigns are due to the specifics of the regulations in Bangladesh, and not for the sake of getting more duplicated QSOs in the log. Please do not attempt to make QSOs with both of these callsigns on the same bands and modes. Please treat both callsigns as one, thus giving other fellow HAMs better chance to make their QSO with us, potentially All Time New One (ATNO). For example, if you have worked S21ZED on 20m SSB, then later do not call S21ZEE on 20m SSB as this would be duplicated QSO. We invited HAMs to help with donations to support pupils of Kuakata with teaching aids and first need aids. 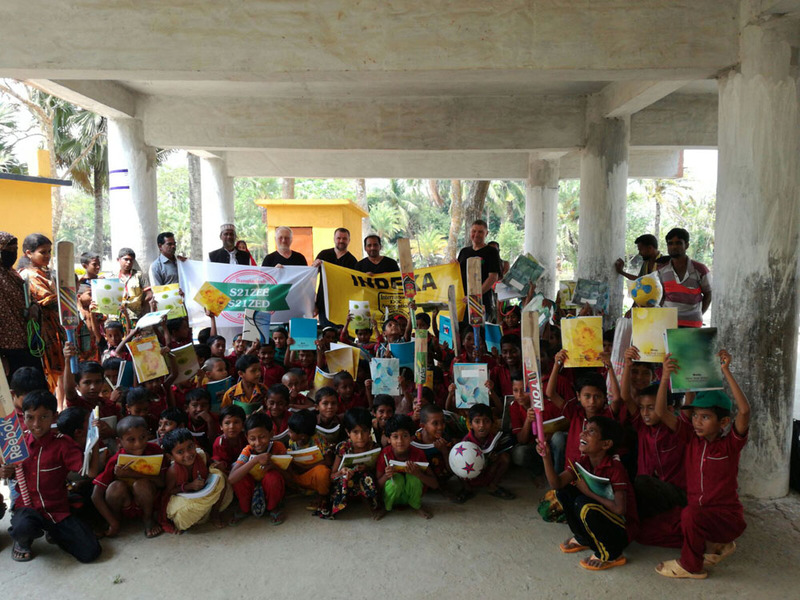 Read here how your donation was put into use. DX trophy announced that they will include our DX-pedition for their organized 2017 DX trophy event. 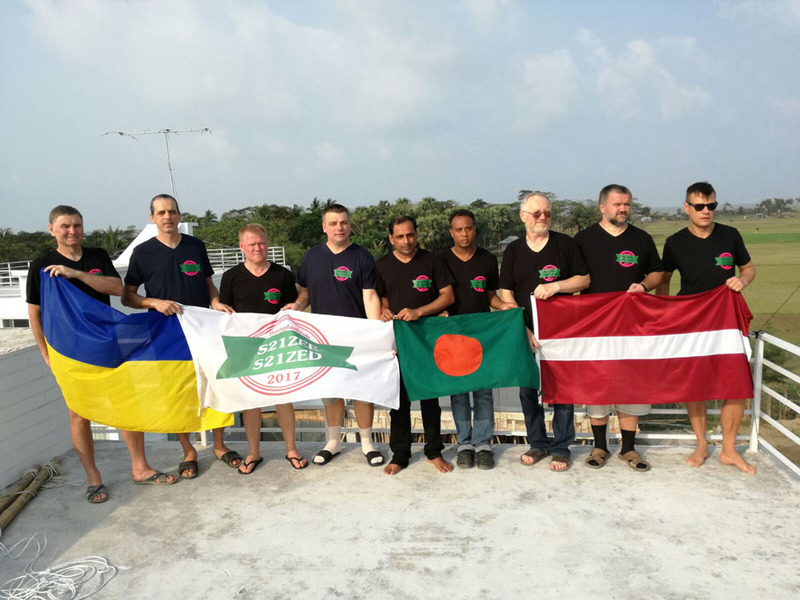 As the DX-pedition begins, they will publish various results with regular updates about our success.